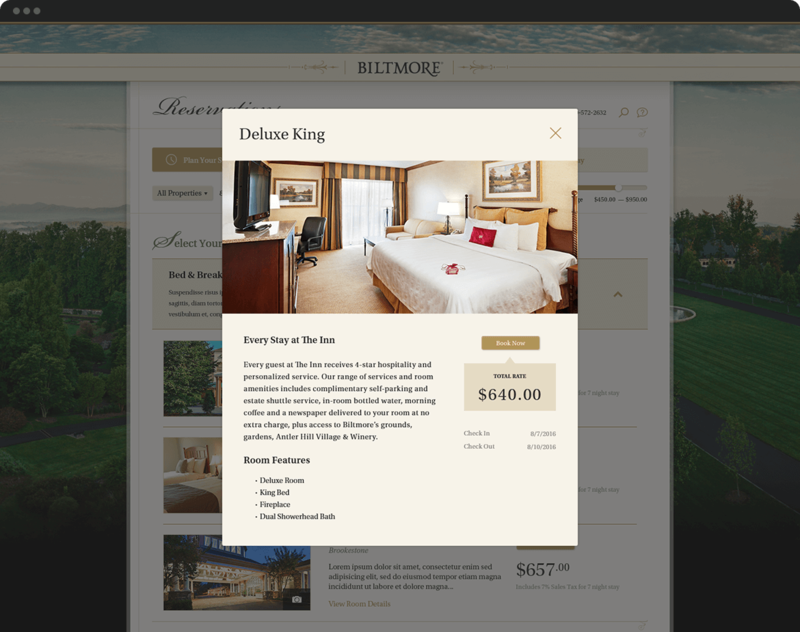 Modernizing the online booking process for one of the most iconic hotels in america. The Biltmore estate boasts over a decade old history and is the largest privately owned house in the United States. Previously they used a legacy based system that simply did not power their operations or provide the customer experience that would be typically associated with their brand. 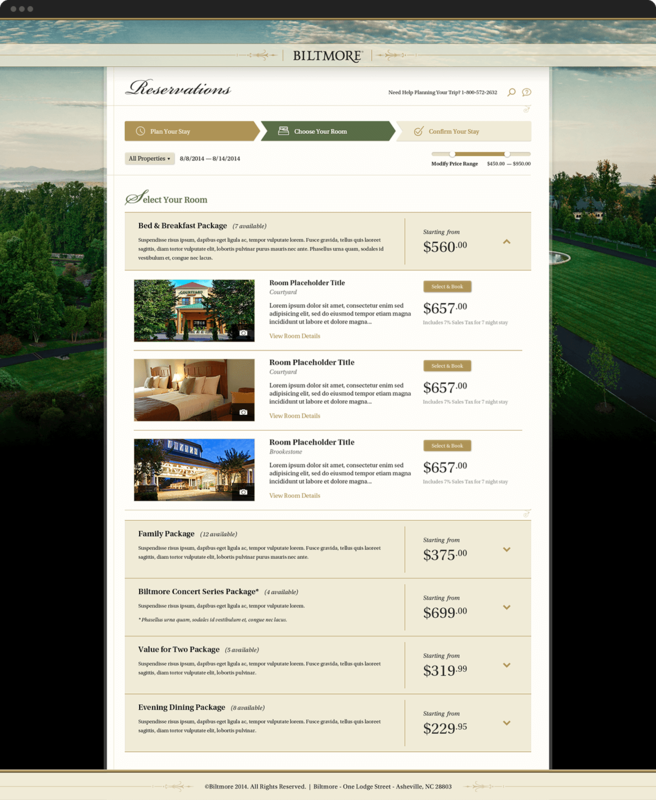 I led the design of their Cenetic booking engine which integrated into their PMS, allowing for real time rates for the abundance of packages they had to offer, both through their Inn and through over 19 other local hotels.